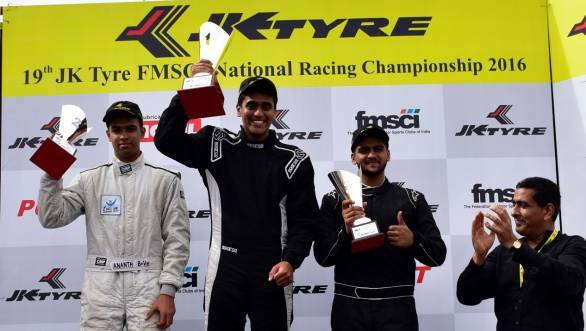 After a thrilling first day of racing, which saw Anindith Reddy claim two wins of two JK Euro16 Races, things got even better on the second day of Round 3 of the JK Racing Championship. 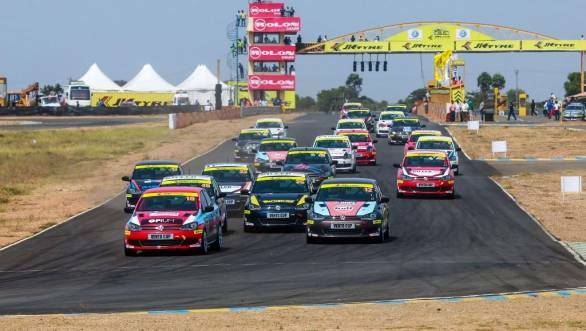 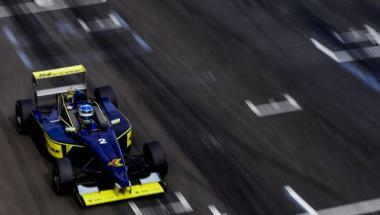 The racer from Hyderabad managed to take a further win and finished second in the other race, which helped him leap from third in the championship standings to the head of the table. 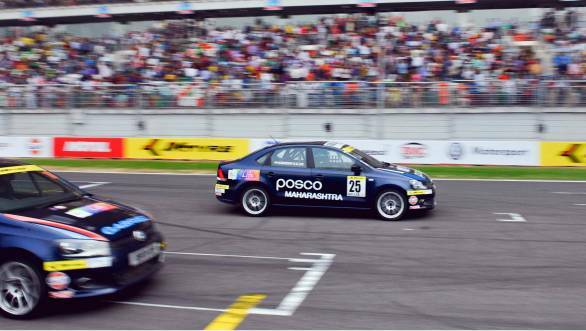 He is currently tied for points with title rival Ananth Shanmugham.